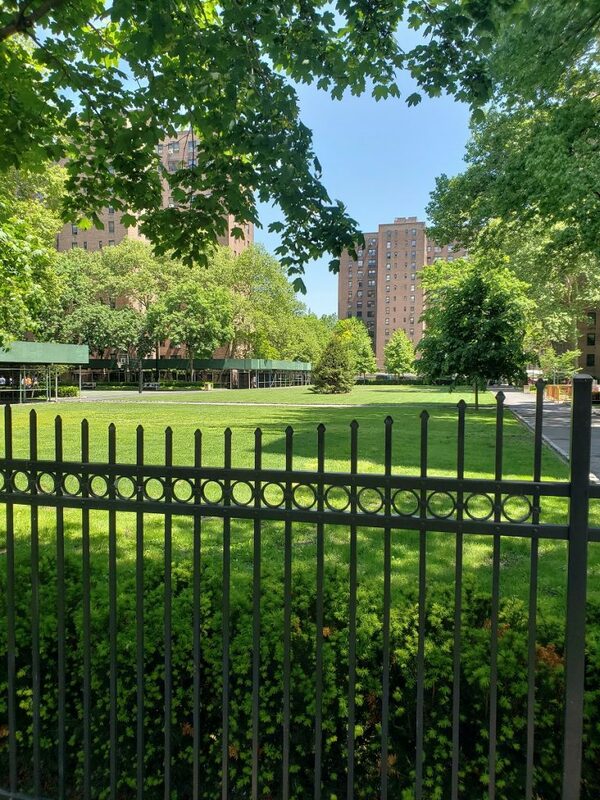 With over 1,200 apartments in seven buildings covering a three-block tract, Riverton Square’s official address is 2156 Madison Avenue, but fronts Fifth Avenue between East 135th and East 138th Streets. Developed in 1947 by the Metropolitan Life Company as housing open to African-American and Hispanic tenants at a time when most new developments were overtly prohibitive, it has been praised for the effectiveness of its landscaping and solidity of its design. Riverton Square residents have included numerous musicians, politicians and social figures, including at one point the former New York City Mayor David Dinkins.